The patient lying on the emergency room table in front of Paul Pugsley was having a stroke. Time was running out. Pugsley, an emergency medicine resident at Maricopa Medical Center, knew he needed to send the patient for a CT scan. “If systems are disrupted over the internet, by an adversary or an accident, that can have a profound impact on patient care,” says Beau Woods, a cybersecurity advocate and cybersafety innovation fellow with the Atlantic Council. The case Pugsley faced in the simulation mimicked the spring 2017 WannaCry cyberattack, which infected thousands of computers around the world and threw the United Kingdom’s National Health Service into chaos. In 2017, the Health Care Industry Cybersecurity Task Force convened by the US Department of Health and Human Services concluded that health care cybersecurity was in “critical condition.” Experts say that health care lags far behind other industries, like the financial sector, in the way it protects its information technology infrastructure. And unlike finance, a health care failure can end with injury or even death. There’s no evidence that any patients died as a direct result of WannaCry. But the attack hijacked thousands of hospital computers and pieces of diagnostic equipment, forcing doctors to ferry lab results across hospitals by hand and cancel nearly 20,000 patient appointments. 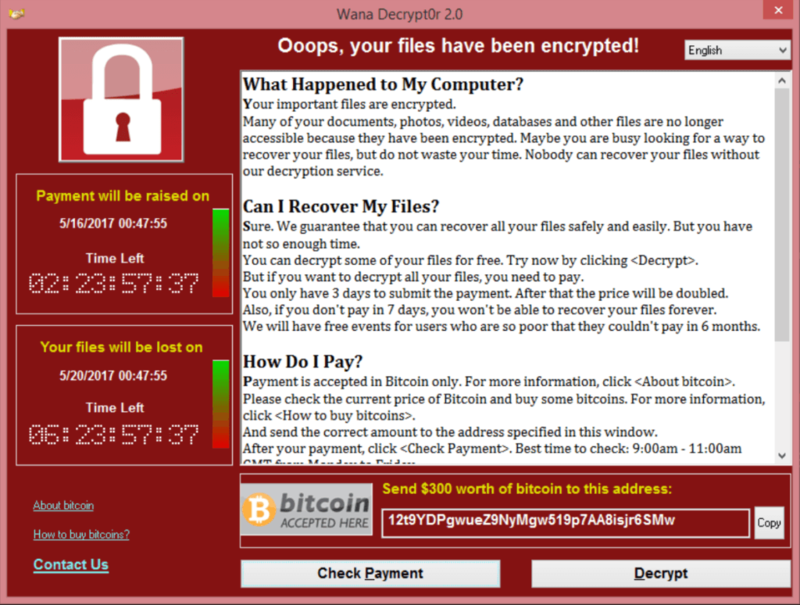 The attack targeted vulnerabilities in the Microsoft Windows operating system, encrypting data and holding computer systems for bitcoin ransom. While WannaCry was eventually stymied, Woods says health care institutions continue to be vulnerable to attacks of that magnitude. NotPetya was one of the largest cyberattacks of all time. The June 2017 attack caused $10 billion in damage to companies and affected computers around the world, from Tasmania to Copenhagen, including those at the Massachusetts-based medical transcription service Nuance. The company’s systems were shut down for weeks, which left thousands of health care delivery organizations, including Sutter Health, a Northern California health care system, unable to use its programs. Sutter Health, which serves over 3 million patients, was prepared. They were able to quickly respond to the attack and move off of the system, says chief privacy and information security officer Jacki Monson. But within a day, it still had a backlog of over 1 million files that needed to be transcribed. “It could have easily created a patient safety issue — if you have transplant patients, or patients who are having surgery, you need all those medical notes,” she says. Sutter Health deals with countless cyberattacks daily. It was hit with around 87 billion cyberthreats in 2018, according to Monson, and uses artificial intelligence technology to sort and evaluate them. “We prioritize them — a human couldn’t look at that many billions.” Based on the nature of the threat, the team might apply software patches, or block an email address that they expect a phishing attack to come from. Sutter Health’s robust cybersecurity program, though, is an exception rather than the rule. Most hospitals don’t have the resources to monitor threats to their systems, and many might not even be aware that they’re something to be concerned about. Medical device manufacturers and the Food and Drug Administration are well aware of the challenges around health care cybersecurity: the FDA has guidelines around how medical device makers should manage security risks both before and after products are put on the market, and hosted a workshop on device cybersecurity at the end of January. At the workshop, a group of device makers (including big names like Abbott and Medtronic) committed to working closely with hackers and security researchers on vulnerabilities. The technologies inside of hospitals vary widely: some medical devices are new, but others are made by companies no longer in business, or run on old software with gaping security holes. Pacemakers and other implanted, internet-connected devices are hackable. Human error opens holes in systems, as well: on the data privacy side, most breaches were triggered by employee mistakes or unauthorized disclosures, according to researchpublished in JAMA Internal Medicine. That’s not to say that hospitals aren’t paying any attention to their computing systems. It’s just that their focus tends to be on a different kind of security. Data security practices in place in hospitals usually prioritize protecting patient privacy, because organizations can be fined under HIPPA for exposing patient data. “It allows them to gloss over [the fact] that devices that may not have patient health info are subject to the same risks,” says Jeff Tully, a cybersecurity researcher and physician at the University of California, Davis Medical Center. Compounding the issue, the vast majority of hospitals don’t have full-time cybersecurity employees, Dameff says. “There’s a lack of awareness, and there’s a lack of resources,” he says. Small, rural hospitals in underserved communities, he notes, probably don’t have the money to hire staff or update their systems. And without security staff, they might not be aware of or able to implement security updates announced by a device company. Without a protective bulwark, it can be tricky for the people already on staff to even notice that they’re under attack. Nurses and doctors, who already have a lot on their plates, might not recognize a hacked device. If, say, an infusion pump delivering a drug was infected with cryptocurrency-harvesting malware, which slowed medication delivery, that device might just be yanked out of a patient room and replaced with the same model, Dameff says, a solution that wouldn’t address the underlying problem and could affect patient care. In November, the computer systems at the East Ohio Regional Hospital and Ohio Valley Medical Center suddenly stopped working. They’d been hit by a ransomware attack — forcing the hospitals to divert patients from the emergency room and return to a paper charting system. Staff had trouble accessing bedside ultrasounds and had limited access to CT scans, says Neal Aulick, medical director for emergency services at the hospitals. It was a difficult time, but Aulick notes that “looking back to when we were down, we didn’t see bad outcomes, I think we handled it very well,” he says. As an emergency medicine physician and medical director, Aulick says that he recognizes the risks of internet-connected systems, but says that has to be balanced against the benefits of the speed and information for which they allow. “When you have a breach like this, the response is exaggerated,” he says. Cybersecurity teams will beef up security with additional passwords or authentication, which makes systems safer, but might also slow down treatment. That’s exactly what worries physicians like Aulick. And one of the most difficult tasks that cybersecurity experts face is communicating the importance of a growing and relatively new problem. The fact is, there just isn’t a lot of research that has looked into patient health during and after cybersecurity attacks on hospitals. But there are some analogies. In 2017, research published in the New England Journal of Medicine found that people who had heart attacks and were taken to the hospital when a marathon was going on were more likely to die within the month than people taken to the hospital on another day: likely because road closures and a diversion of resources created delays in patient care. It’s an imperfect comparison, Tully says, but it’s what concerns cybersecurity experts when they think about ransomware attacks. “Anything that results in the delay or degradation of care will affect outcomes,” he says. Original report can be found on The Verge.